“Dart Haven” is a luxury holiday house that is fully equipped with everything you’ll need for the perfect holiday escape. 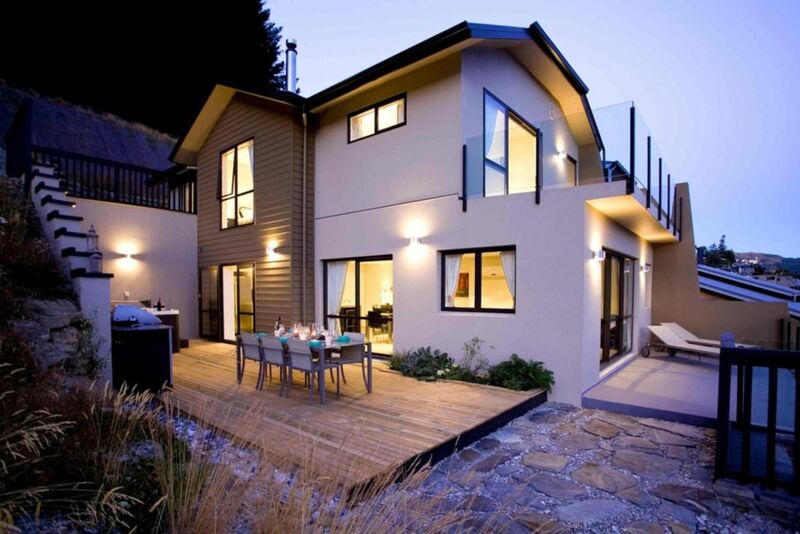 We are close to Coronet and Remarkables ski fields and just a short walk to the lake and all of the activities Queenstown has to offer. All you have to do is come and relax whether it is on the fur beanbags next to the fire, on the comfy sofa watching sky TV, in the hot tub/spa or with a glass of wine on the balcony. With magnificent lake and mountain views you’ll find it hard to leave “Dart Haven”. Great house and great location. Not walkable to town but a short drive or taxi. Beautiful location with a great view of the Remarkables. Beautiful location with a great view of the Remarkables. The house was nice and spacious and we would happily stay again! Not much to fault. Only the driveway is steep and would recommend parking on the street. Otherwise terrific house, great views, awesome facilities and really good service. A splendid property with a splendid outlook. A splendid property with a splendid outlook. Perfect for our last days in NZ! Awesome place. Great views of Queenstown, and surrounding areas. Very peaceful place, and everything was well looked after. Can't wait to go back again.